October 31st is an exciting time for kids. They can dress up as whatever they like. They get free candy. What's better than that? And Halloween is great, except for the fact that parents have been running around, driving kids to school and sports practices, doing chores, cooking dinner, cleaning up after their messes... shall I continue? During all this running around it's hard to find the time to get a costume together. 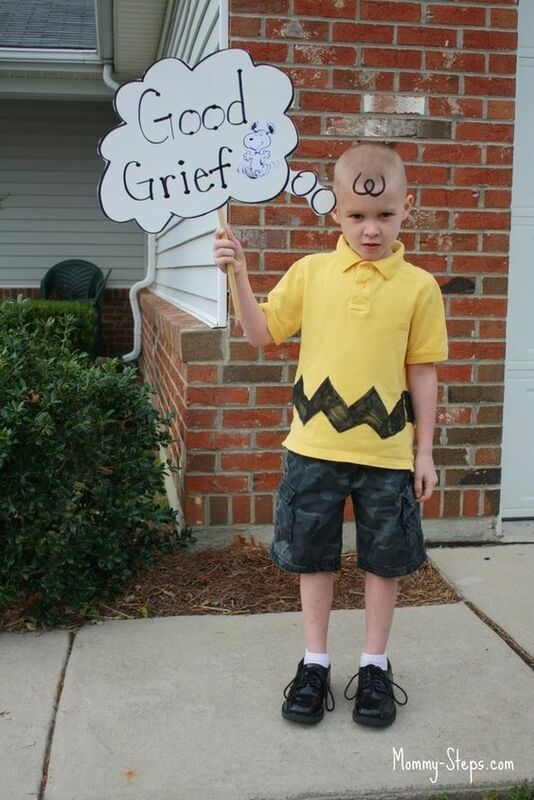 Now, with four days until Halloween, parents are in a bind. Black shirt and pants, two 2-Liter soda bottles, and tape. Add goggles, and you're good to go! 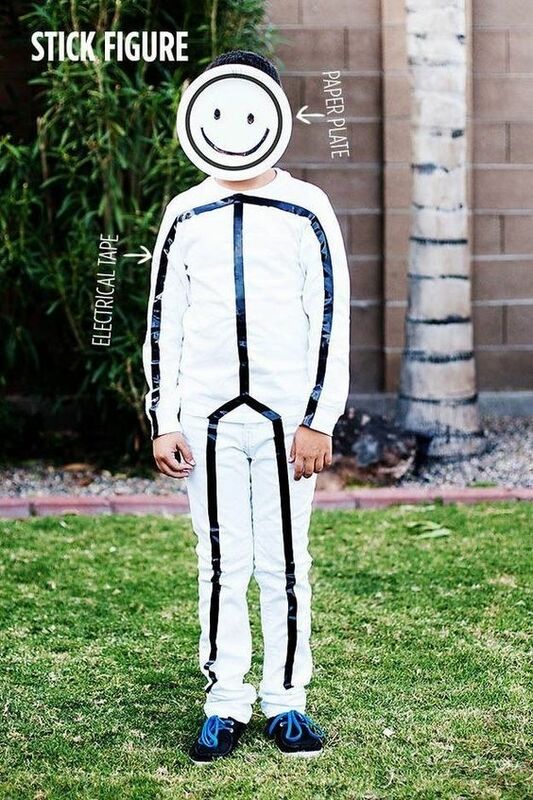 If you have a paper plate, scissors, and electrical tape, the stick figure is a unique and easy one! Caught stealing cookies out of the cookie jar? 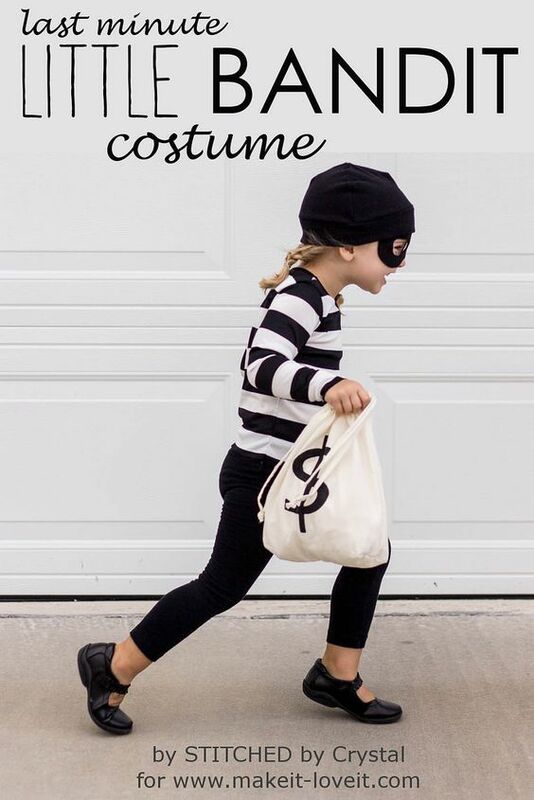 Make a mask out of black construction paper, wear a striped shirt, and your little bandit is ready for trick or treating. 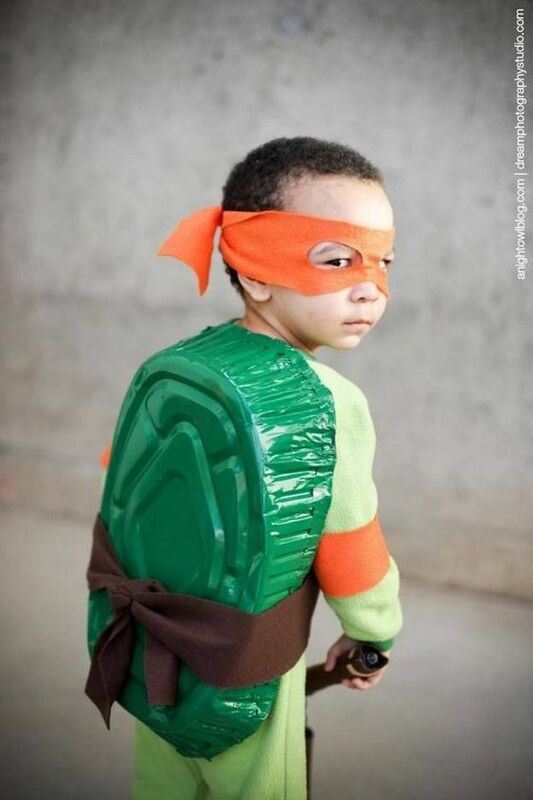 Use paint, a cooking tray, and felt to turn your little one into their favorite ninja turtle. Five-year-old or Francisco Goya? 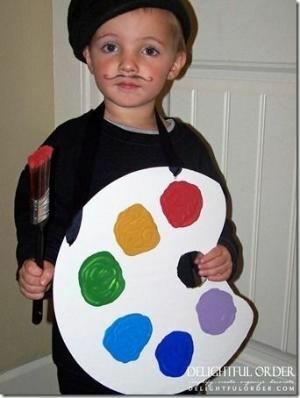 With a draw on mustache, cardboard, and paint, your toddler can be a painting prodigy. Here's our personal favorite (though we might be a little bias). It might be a little cheesy, but with some yellow paper and blue poster board you can turn your toddler into a tasty treat! Have cardboard, a flannel, and a beanie? 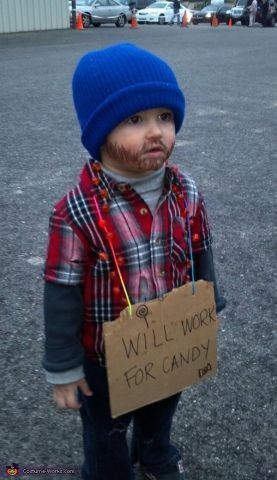 This costume is perfect for your little candy lovers. 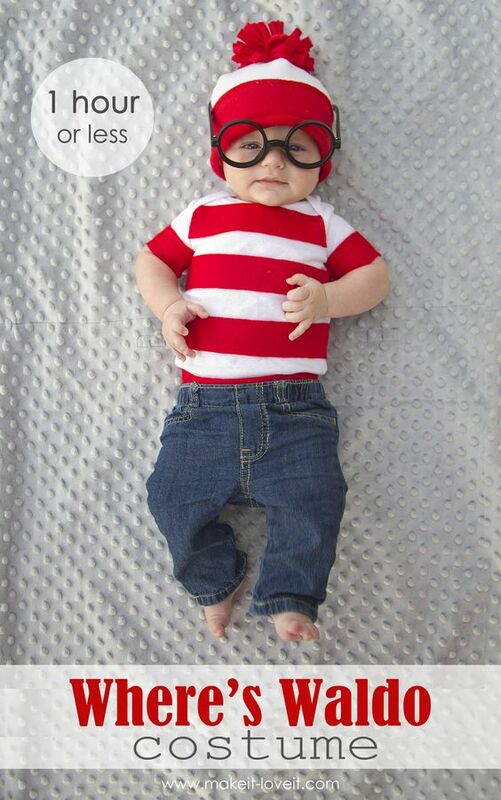 Who knew Waldo could be this cute? Red stripes, jeans, and fake glasses (you can make out of paper), are all you need to recreate this look. 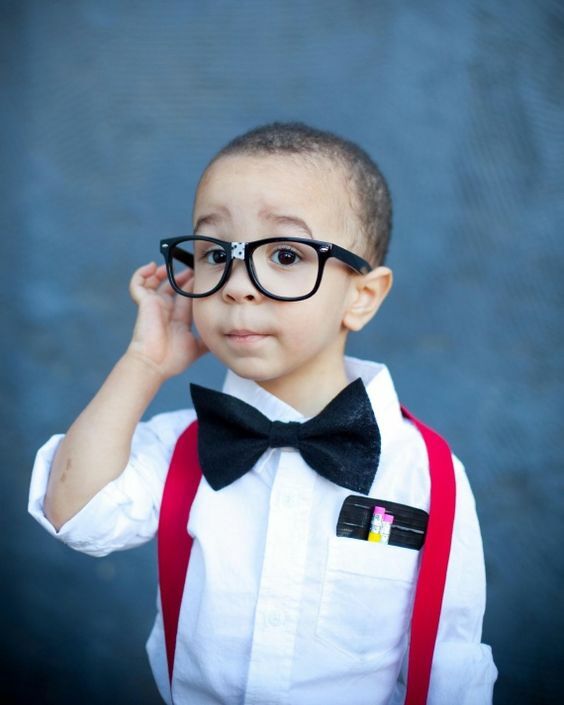 Raid dad's closet or make your own bow tie and suspenders to have your kid be a little genius. Nothing like a yellow polo with a black zig zag to create a cartoon classic. 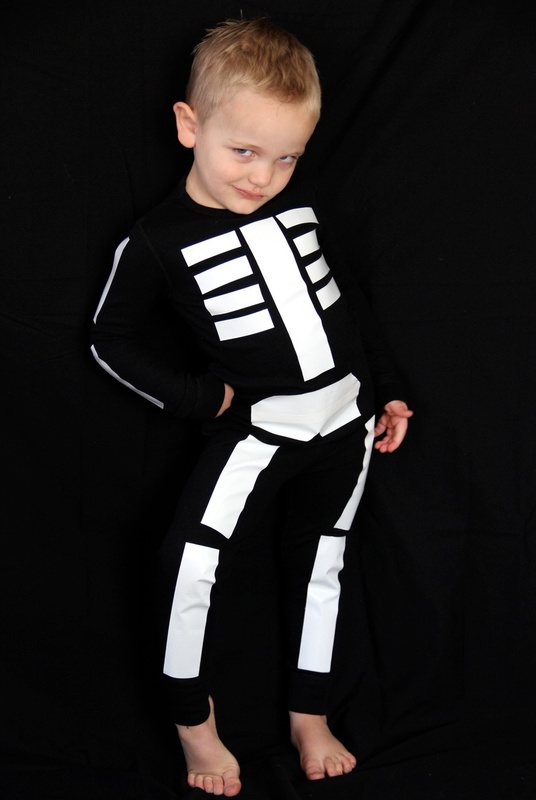 Have your little one be Mr. or Ms. Bones, a Halloween classic, with white tape and an all black outfit. 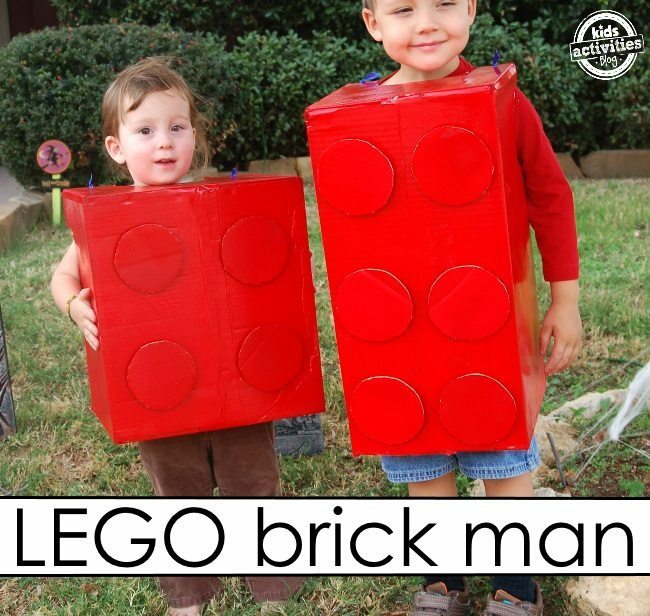 Turn your kids into their favorite toy with cardboard, paint and glue! 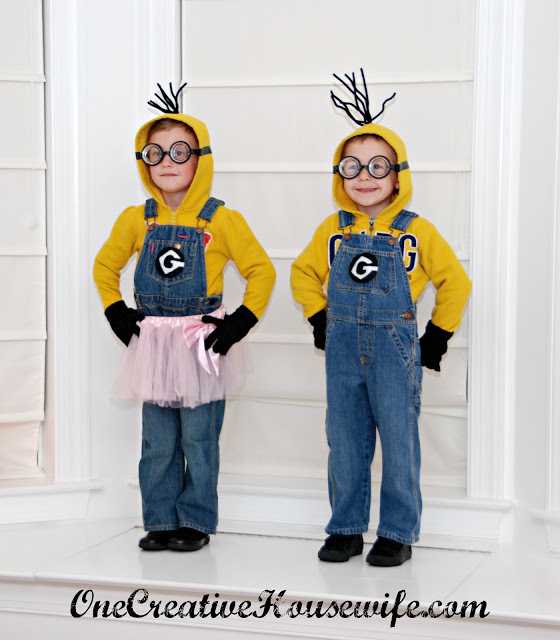 Make-your-own minions with yellow hoodies, fake glasses, and overalls. Forgot to get a costume this year? Let it go! 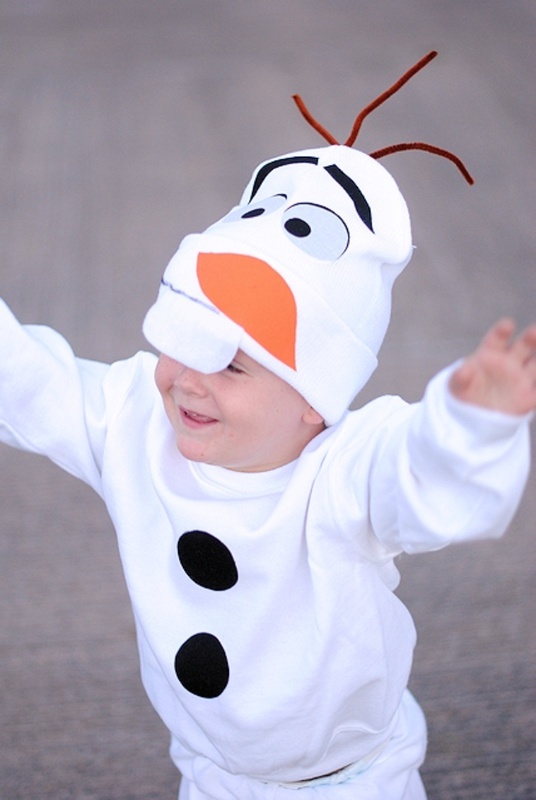 Recreate Olaf by cutting out snowman features out of felt and pasting them on an all white outfit. 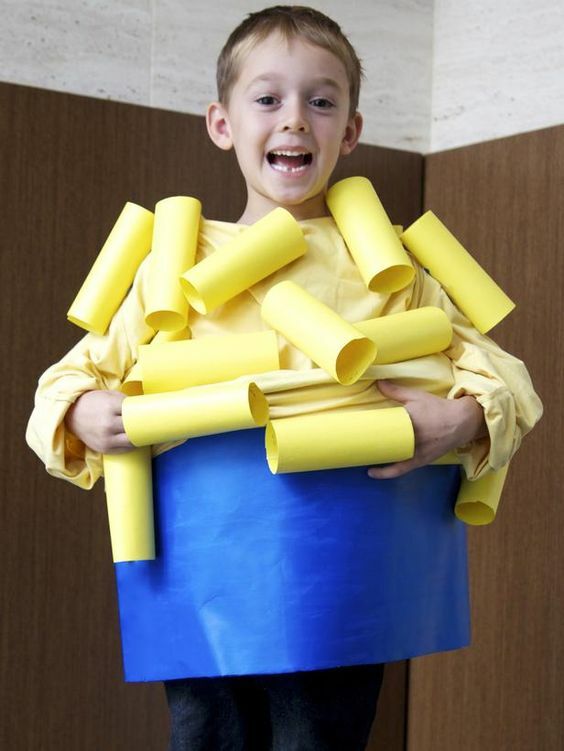 We love this healthy snack costume! 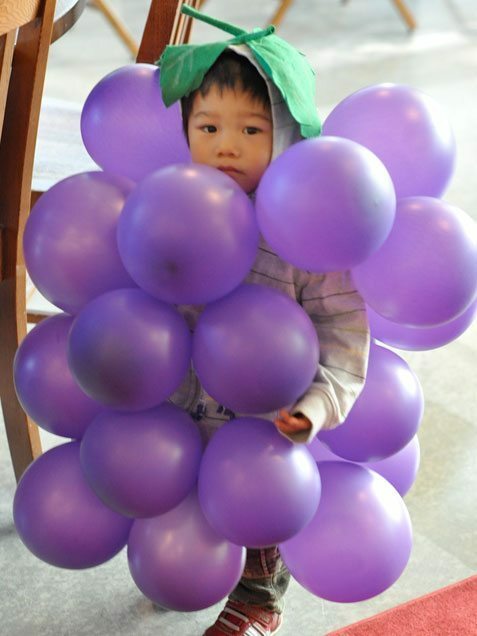 Blow up purple or green balloons and pin them to your kid's clothes. The only C's she got in school were Chocolate Chips! Make two cookies out of brown paper and/or cardboard. Use string to tie the two together, add glasses and a graduation cap, and viola! You have a smart cookie. Out of Esmerelda costumes at the store? Make your own! 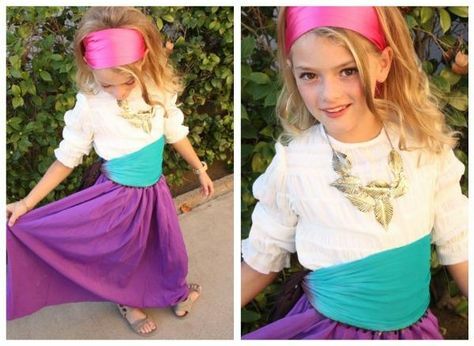 Blue, pink, purple fabric, and pins are all you need to recreate this Disney princess. 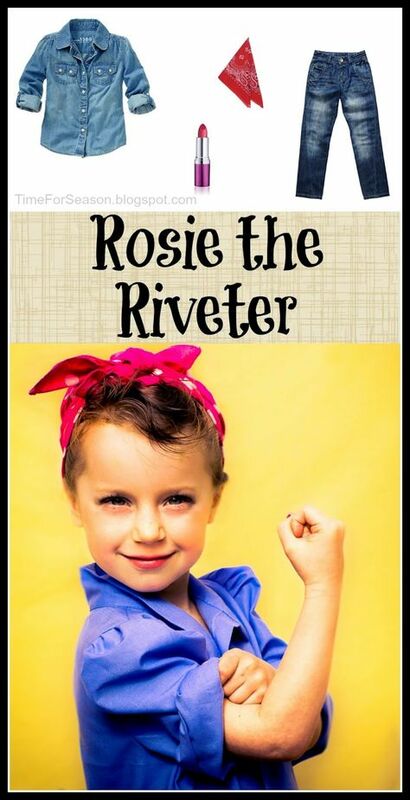 This costume is clever and easy for your little girls. 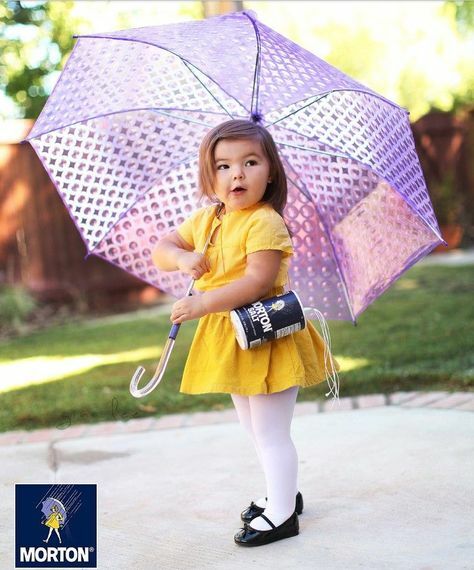 Yellow dress, white tights, and an umbrella bring this salt icon to life! And cut! 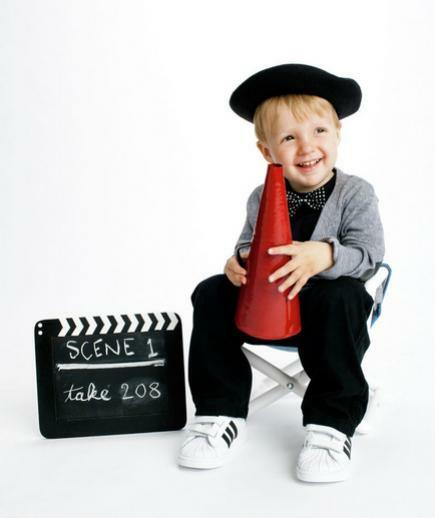 Have your kid be the next James Cameron by making your own megaphone. 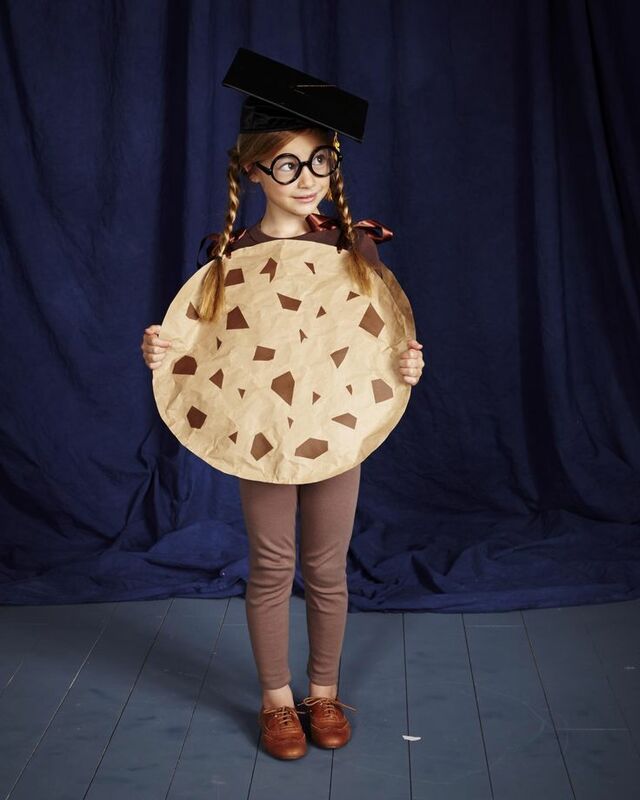 Have your kid wear a bow tie and beret to complete the look. You can't go wrong with all denim and a red bandana to create this cute, patriotic classic. 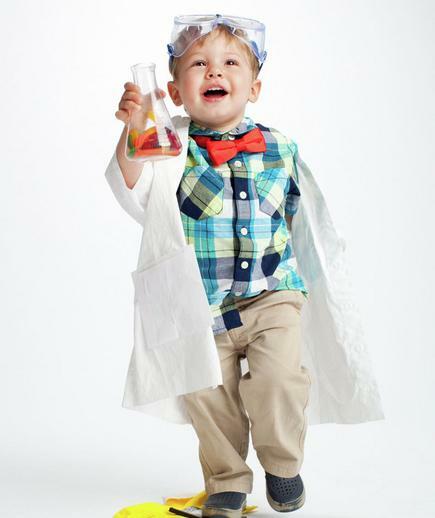 Little Einstein wears a plaid shirt, bow tie, lab coat and goggles! Quick, cute, and easy. 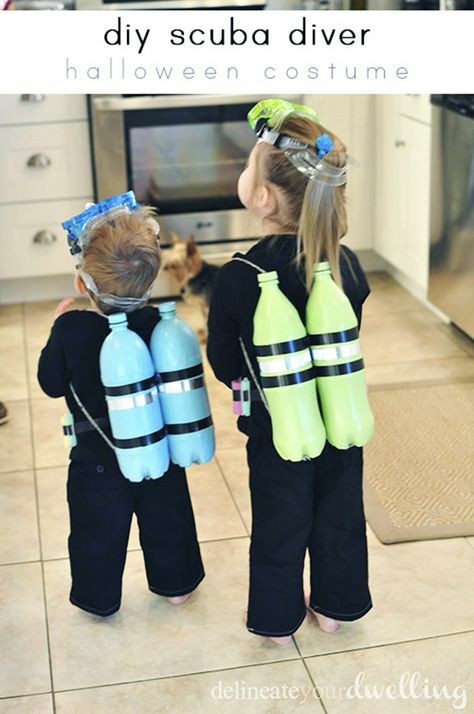 We hope these DIY costumes sparked some inspiration! Visit www.smartlunches.com to treat your little one to a special lunch on Halloween day!